Situation: rural. Access/parking: parking on the estate. Estate (private use): approx. 3000 m² (whole estate 17 ha) , closed plot (fence, entrance gate), pond, natural surroundings, meadow, fields, grapevines, olive trees. Outdoor facilities(private use): terrace 50 m² (roofed), roof terrace (roofed), roof terrace (roofed), furnishing provided, barbecue. Pool (private use): 11.0 x 5.5 m, 1.30 m deep, 28.04.18-20.10.18. Pool area: sun loungers, sunshade, external shower. Sports facilities/ leisure time: private use (free of charge): children's playing equipment. Fishing: good fishing possibilities, in the lake in approx. 500 m, fishing licence provided by the owner (against payment). Day trips: the owner organizes excursions by boat (payment and request on-site). Infrastructure: Restaurant, sale of own produce (available during the whole season, olive oil, wine); breakfast, half board (dinner): payment and request on-site. Important information: The agirturismo (restaurant) and the fishing ponds are in approx. 500 m distance. ● Distances: Center Casalbordino in approx. 9 km Lanciano in approx. 35 km Vasto in approx. 24 km, Next supermarket (Casalbordino) in approx. 9 km, Train station Lido di Casalbordino in approx. 17 km Airport Pescara in approx. 60 km, Sea in approx. 17 km Sandy beach in approx. 17 km. Resort "Cecina", surrounded by trees. In the resort Cecina, 600 m from the sea, 600 m from the beach. 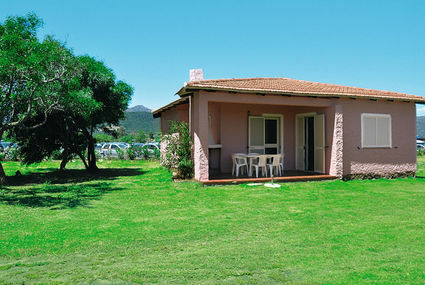 For shared use: property 8 ha (fenced), park, swimming pool (25 x 12 m, depth 150 cm, 22.04.-30.09.). WC in the pool area, children's pool, outdoor shower, tennis, floodlit (extra), volleyball, garden furniture, barbecue, children's playground. In the house: reception, restaurant, bar, WiFi, massage (extra). Bowling, table tennis, table football, boutique, telephone box, washing machine, tumble dryer (for shared use, extra), bicycle rental. Breakfast possible (extra). Parking at the house. Supermarket 5 km, restaurant 50 m. Nearby attractions: Casale Marittimo 15 km, Bolgheri 20 km, Pisa 60 km. Please note: entertainment in the season. Suitable for families. Railway line 500 m from the property. The photograph shows a typical example. There are more similar properties for rent in this same residence. WIFI is available only in the area near the reception. Parking is outside 50 meters from the front desk and video surveillance. Use tennis court and football court free of charge until 8pm. Access/parking: parking near the house. Exterior (private use): Plot description: private part of the estate, closed plot, with garden, garden, lawn. terrace (roofed), furnishing provided, 2 deck chairs, outdoor shower, brick barbecue. Private pool: Private pool: 28 m², 01.04.19-15.11.19. Pool area: tiled. ● Distances: Center Tanaunella in approx. 1.5 km. Budoni in approx. 4 km. San Teodoro in approx. 13 km. Next supermarket (Tanaunella) in approx. 700 m. Airport Olbia in approx. 38 km. Ferry port Olbia in approx. 40 km. Sea in approx. 500 m. Sandy beach in approx. 500 m - 700 m (Budoni). Villette Puntaldia: Modern, beautiful small apartment house "Puntaldia". 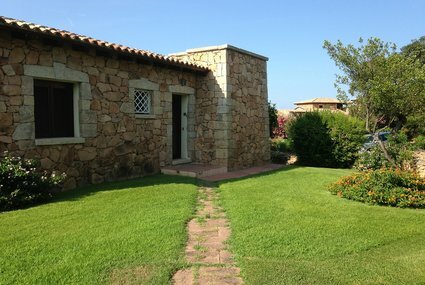 In the district of San Teodoro, in the resort 200 m from the centre of Puntaldia, in a quiet position, 200 m from the sea. Parking. Shop, grocery, supermarket, shopping centre, restaurant, bar, bakery, sandy beach 200 m. Golf course 4 km, indoor tennis centre 4 km. Please note: the photograph shows a typical example. Important information: Very frequented beach bar in the high season until 8 pm. Exterior (private use): Plot description: private part of the estate, open plot, garden, meadow. parking near the house. terrace (roofed), furnishing provided, 2 deck chairs, barbecue. ● Distances: Center San Teodoro in approx. 1.3 km. Olbia in approx. 30 km. Next supermarket (San Teodoro) in approx. 1.3 km. Airport Olbia in approx. 28 km. Ferry port Olbia in approx. 30 km. Sea in approx. 30 m - 50 m. Sandy beach (without crossing the street) in approx. 1 m - 30 m. Golf course Punt'Aldia (9-hole golf course) in approx. 6 km. 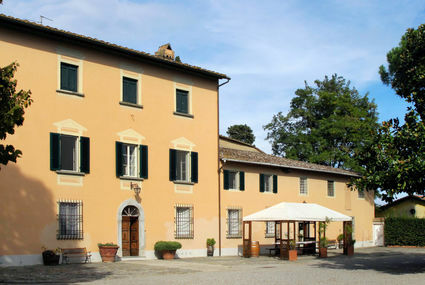 Old country house "La Ginestra", semi-detached, from the 16th century, surrounded by trees, fields and vineyards. 8 km from the centre of Gambassi, 20 km from the centre of Volterra, on top of a hill, in the countryside. For shared use: property, garden (not fenced), swimming pool (6 x 12 m, 04.05.-12.10.). Outdoor shower, pergola, terrace, garden furniture. Private: small terraced garden with lawn. In the house: laundry, washing machine (extra). Linen change weekly. Room cleaning on request (extra). Cook on request (extra). Bread roll service. Shop 8 km, supermarket 8 km, restaurant 8 km, bar 8 km, bakery 8 km, railway station "Poggibonsi" 15 km, sandy beach "Cecina" 60 km. Golf course 15 km, tennis 8 km. Nearby attractions: Siena 45 km, Firenze 45 km, Pisa 60 km. Please note: the owner has a dog. Situation: rural. Estate: closed plot.. Sports facilities/ leisure time: private use (free of charge): table tennis table. Infrastructure: Sale of own produce. Exterior (private use): Plot description: private part of the estate, closed plot (fence), trees, garden, yard. parking on the estate. reserved open space (roofed), reserved open space (pavilion), furnishing provided, transportable barbecue. Private pool: Private pool: 12.0 x 6.0 m, 1.20 - 1.40 m deep, 11.05.19-05.10.19. Pool area: deck chairs, sunshade, external shower. Distances: Next village/town: Center San Miniato in approx. 5 km Fucecchio in approx. 4 km Firenze in approx. 45 km, Shopping: Next shopping possibility (San Miniato in Basso) in approx. 3 km Next supermarket in approx. 1.5 km, Arrival: Train station S.Minato F. in approx. 500 m (Pisa-Firenze) Airport Firenze in approx. 50 km, Golf course: San Miniato (9-hole golf course) in approx. 2.5 km (Golf Club Fontevivo). Local service charges Electricity according to consumption approx. € 0,35/​kWh. Gas according to consumption approx. € 1,30/​cubic meter. Firewood if required. Holiday resort tax. Linen/towels must be brought along. Bed linen and towels available on loan, € 12 per person/​change (on order). Deposit € 350 (in cash). Extra bed 4x available, € 15 per person/​day (on order). Toddler bed € 5 per day (on order). Pet not allowed. Single-family house "Lakeside home", detached, surrounded by trees. 500 m from the centre of Bolsena, 500 m from the lake. Private: natural garden 200 m2 (fenced). Pergola, garden furniture, barbecue, parking at the house. Supermarket 500 m, restaurant 300 m, bar, pedestrian zone, bicycle rental, pub garden 500 m, railway station "Orvieto" 24 km. Marina 800 m. Nearby attractions: Orvieto 20 km, Pitigliano 30 km, Tarquinia 68 km, Capalbio 78 km, Terme di Saturnia 54 km, Roma 129 km. Well-known lakes can easily be reached: Bolsena 500 m. Please note: car recommended. 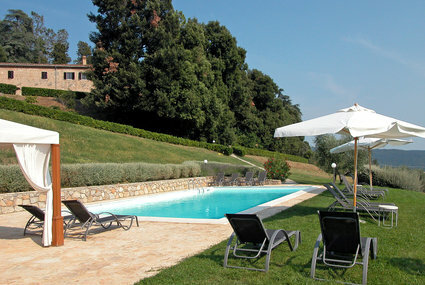 Situated in the hamlet of Pancole, 7 km from San Gimignano. Grounds of 240 ha with vineyards, olive groves and woodlands. 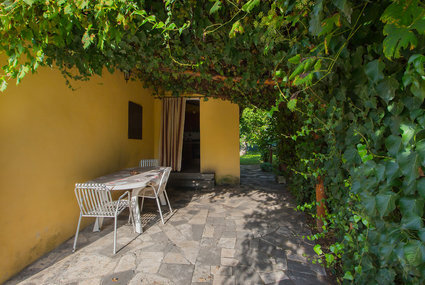 Several outbuilding have been renovated and converted into holiday apartments. The swimming pool is in a panoramic position. Single-family house "Coiano". 7 km from the centre of San Gimignano, 56 km from the centre of Siena, 65 km from the centre of Firenze. For shared use: garden lawn, swimming pool (7 x 14 m, 01.05.-10.10.). Outdoor shower, garden furniture, barbecue. In the house: with TV, central heating system, air conditioning, laundry, heating to be paid on the spot (01.11.-15.04. ), heating available only from 01.11. to 15.04.. Breakfast possible on request (extra). Motor access to the house (3 km via unmade road). Parking. Supermarket 7 km, railway station "Certaldo" 7 km. Golf course 18 km, tennis 7 km, riding stable 10 km. 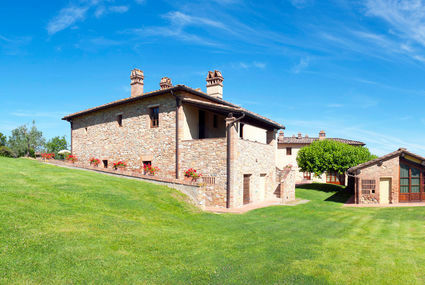 Nearby attractions: Certaldo 7 km, Gambassi Terme 17 km, Colle Val d'Elsa 20 km, Volterra 30 km, Monteriggioni 35 km. 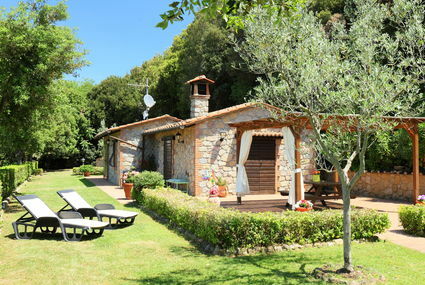 Beautiful, cosy villa "Giuliana". 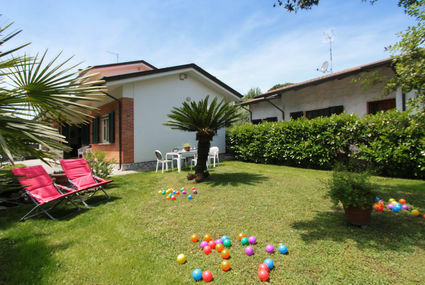 940 m from the centre of Forte dei Marmi, 330 m from the sea. Private: beautiful garden (fenced) with lawn and trees. Terrace, garden furniture. In the house: washing machine, heating to be paid on the spot (01.11.-15.04. ), heating available only from 01.11. to 15.04.. Room cleaning 2 times per week (included). Parking on the premises. Nearby attractions: Portovenere 61 km, Lerici 38 km, Genova 130 km, Cinque Terre 63 km, Portofino 114 km, Santa Margherita Ligure 108 km. Please note: childminding (extra). On request: airport transfer to the holiday accommodation. 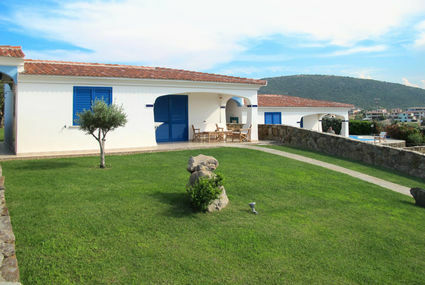 Independent house with breathtaking location on the Maremma countryside near the town of Roccastrada. Small country house detached. 1.5 km from the centre of Roccastrada. Private: property 250 m2 (fenced). Outdoor shower, patio, pergola. In the house: internet access. Motor access (200 m via unmade road). Parking at the house. Grocery 1.5 km, supermarket 1.5 km, restaurant 1.5 km, sandy beach 40 km. Nearby attractions: Castiglione della Pescaia, Punta Ala 50 km.